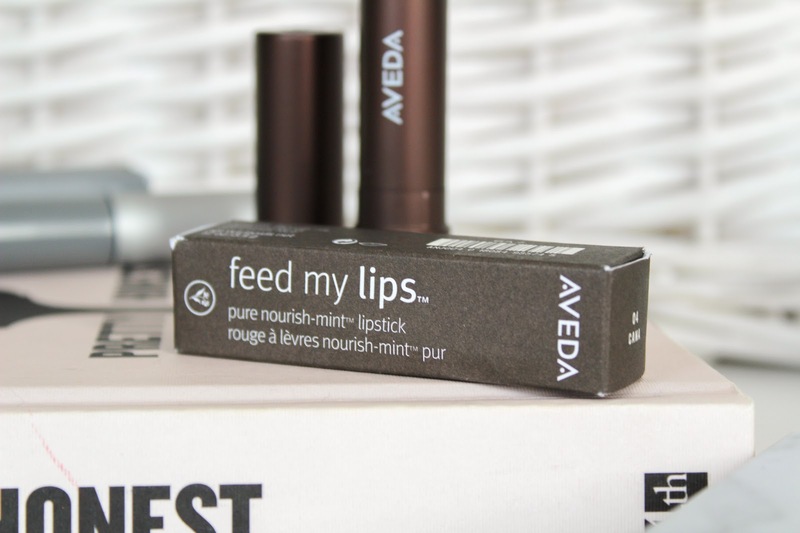 I recently shared a post on the gorgeous lip line, Feed My Lips by Aveda when I added Morello, a deep cherry shade to my lip drawer. I loved it so much that I now have my signature shade from the range and a treat for my lashes too. 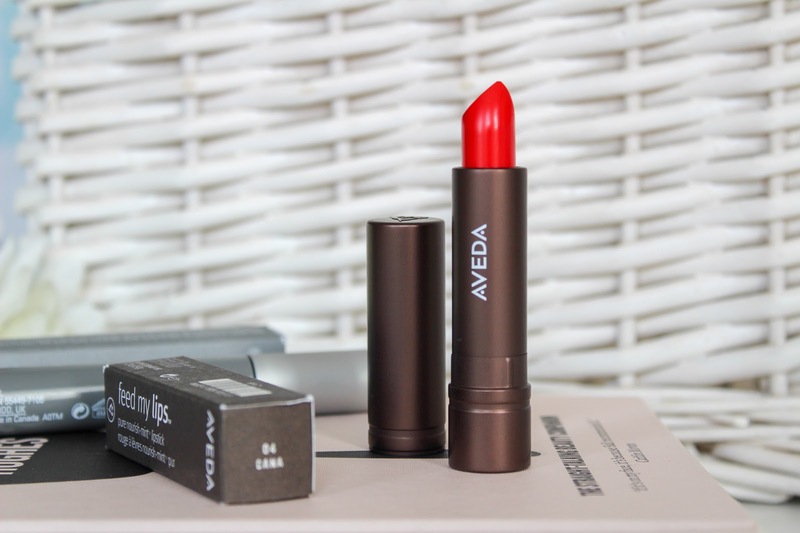 Aveda are a brand I've really invested my time in over the last couple of years, I adore their hair products so it was inevitable that I'd venture into their makeup too. Aveda's new long wear, nourishing lip collection is designed to compliment your hair colour and features 23 show stopping shades that you'll want to fall in love with. The naturally derived, cruelty free and plant infused lip treatments are housed in post consumer recycled packaging using materials sources from certified woodland. One of the many reasons I love Aveda. After trying and loving Morello, I had to add another to my stash. 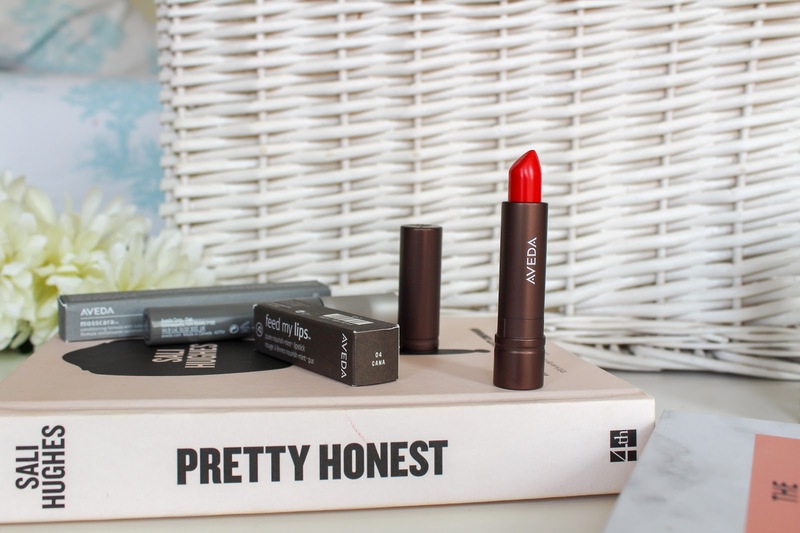 The feed my lips pure nourish-mint lipstick (£17.00) in Cana is my newest shade, an intense orange red which is quite similar to So Chaud, my favourite lipstick shade ever. The formula is great as it's nourishing, long lasting and has a peppermint and vanilla scent. 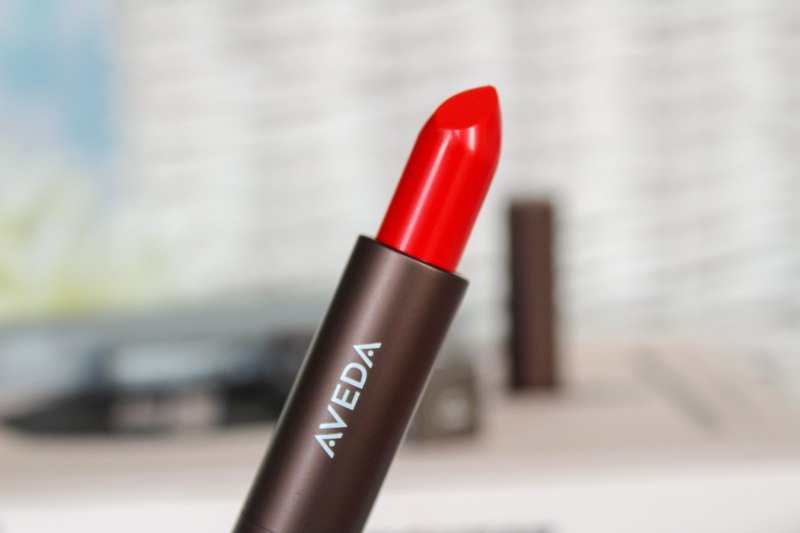 A quick slick of colour and you're good to go, bold lips have never been so easy. I think I'm going to have to make some dedicated drawer space for my new lip faves. 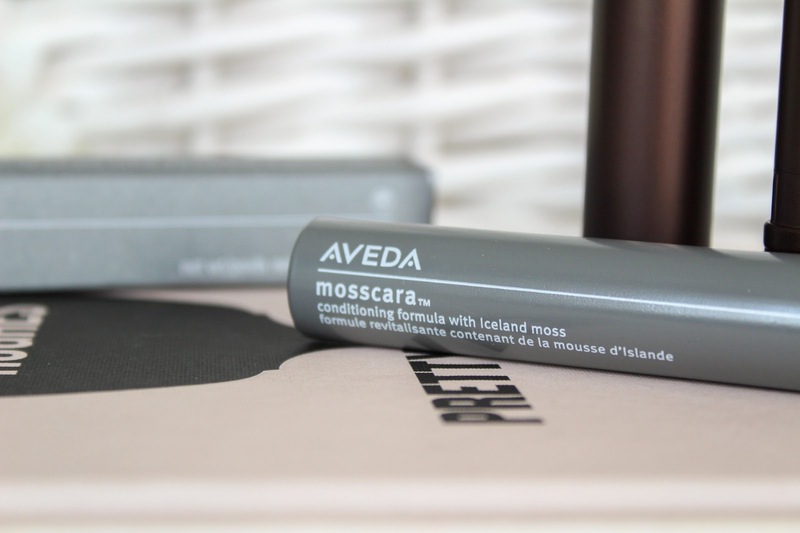 Stepping away from lipstick for a moment, I've also been using the Mosscara thickening mascara (£17.50). Aveda has a really great range of makeup products, something I never realised until recently so I'm slowly working my way through them. 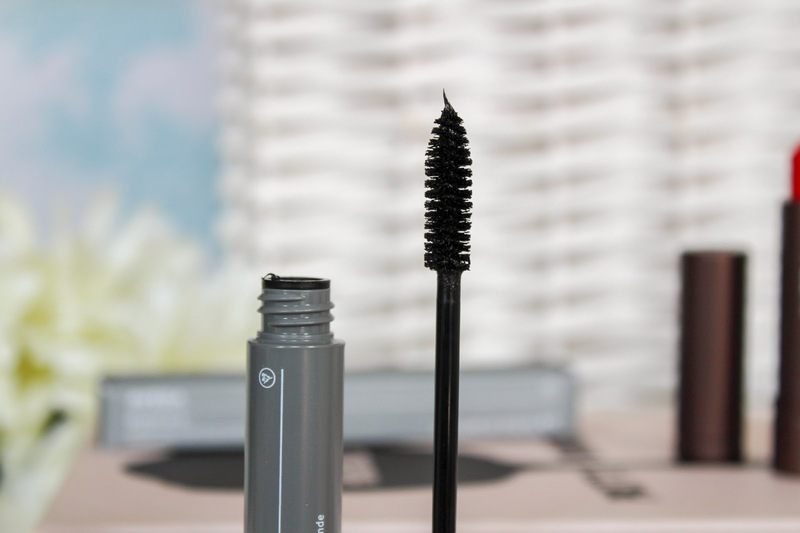 The thickening mascara conditions lashes from root to tip to leave soft, luscious looking lashes. The fragrance free formula is tried and tested through thirty degree heat by yours truly and it's bloody fabulous. Made from a blend of Iceland moss and pure plant extracts, it's fast drying as well as smudge and flake proof. The mascara is also available in brown which is what I tend to use as it really brings out the blue in my eyes. 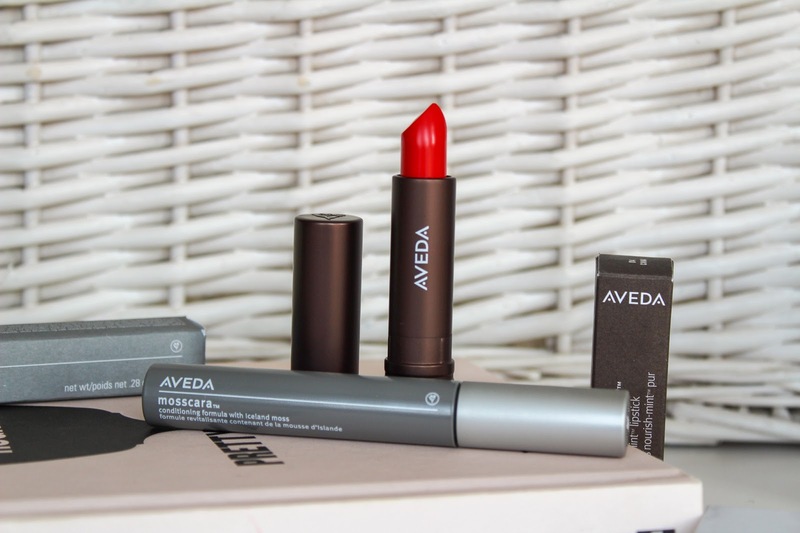 You can purchase Aveda products online and on counters. If you're like me and a total newbie to a lot of the products I find heading to my nearest counter the easiest as I know I'll get talked through the products and matched to the perfect ones for my skin. Features press samples & affiliate links - see disclaimer. Oh wow that shade is stunning! I do love a red! I’m after a new mascara so I’ll have to check this out! The lipstick looks so stunning, I love a bright red! i absolutely love aveda! that red will be perfect on you this autumn, i know it'll really suit your skin tone! can't wait to see it on you! That lipstick shade is gorgeous!